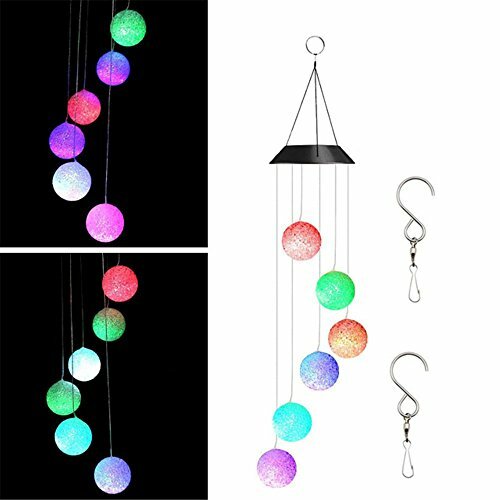 DEWEL Solar Wind Chimes Color Changing Hanging Mobile Wind Chime for Party Night Garden Outdoor Furniture Home Decoration (Glow Ball) by DEWEL at Home Decor Outlet Store. Hurry! Limited time offer. Offer valid only while supplies last.